The Alayna 20 Pack Generic Oral B Floss Action Replacement Brush Heads Are Made With Quality & Excellence! The Floss Action Replacement Provide A Thorough Cleaning To The Entire Mouth, Including In Interdental Spaces. Generic Oral B Brush Heads Removes Plaque, & Promotes Gum Health. 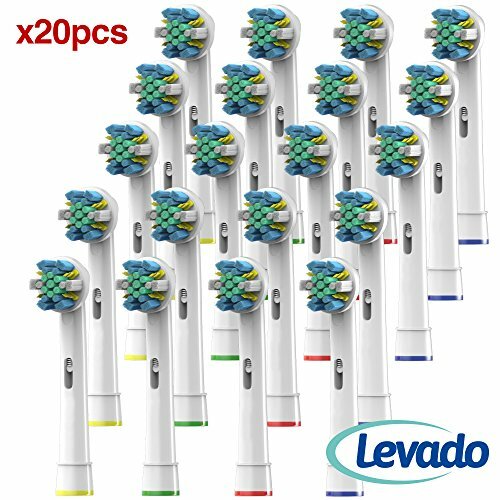 Package Includes A Quality 20 Pack Of Alayna Toothbrush Heads For The Entire Family. Alayna Electric toothbrush heads Surround Each Tooth For An Outstanding, Tooth By Tooth Clean. Advanced Micropulse Bristles Reach Deep Between Teeth For Superior Plaque Removal.